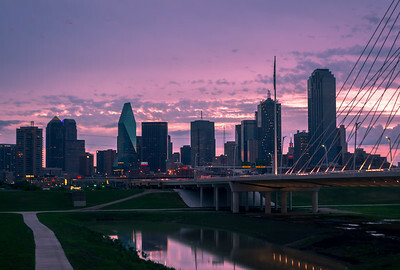 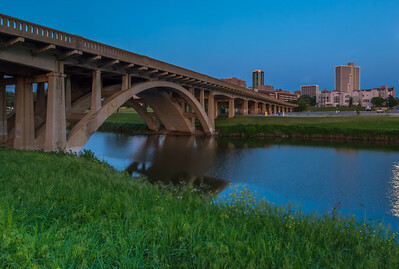 Fort Worth skyline and Henderson Street Bridge at Blue Hour. 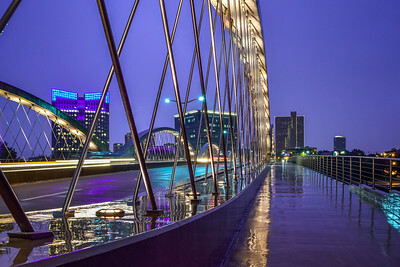 Purple lightning over Fort Worth. 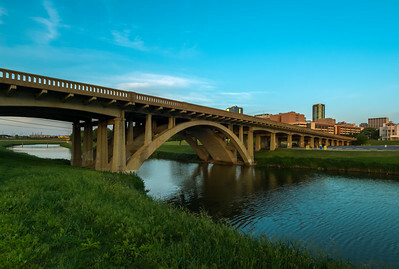 North Henderson street bridge at Sunset. 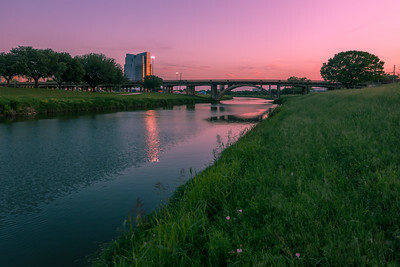 Chespeake Plaza and Henderson Street bridge at Sunset. 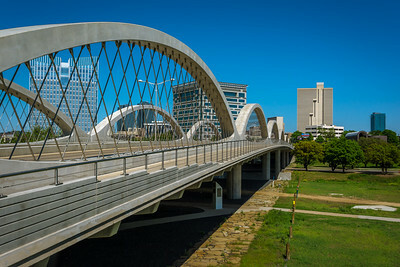 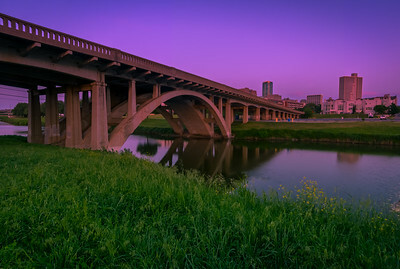 Twilight at the Henderson Street bridge: Fort Worth Texas.